The Consortium for Improving Agriculture-based Livelihoods in Central Africa (CIALCA) is a unique international research and capacity building consortium that brings together international research centers, African and European universities and national and international development partners with a vast experience in the science and the practice of agricultural development. CIALCA can accommodate 4 new PhD positions for candidates from Burundi (1), Rwanda (2) and DR Congo (1). Candidates need to have Rwandese, Burundese or Congolese nationality AND need to be contracted by a local academic or research institution in those countries at the time of application and throughout the PhD trajectory. You will be part of a cohort of CIALCA PhD students, each one of you working on an individual research project at the interface of science and international development in the African Great Lakes Region). You will be co-supervised by a team of highly qualified researchers: at least one from your host international university, one from the national partner organization, and one from the CGIAR international agricultural research institutes. You will get international experience by spending between 18 and 24 months in a Belgian international university. In addition to your individual research project, you will benefit from an exciting network-wide training program, including workshops, courses, and joint practical projects with the other PhD students. This will give you hands-on experience as well as a suite of transferable skills, including in communicating scientific results and ICT skills to perform research in innovative and applied ways. CIALCA is a well-established and innovative research-for-development partnership operating in Rwanda, Burundi, and eastern DR Congo, and supported by the Belgian Directorate General for Development Cooperation and Humanitarian Aid (DGD). 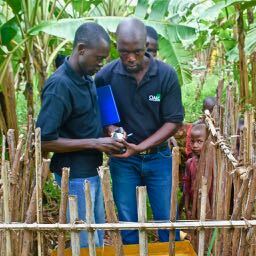 Embedded within the CGIAR Research Program on Roots, Tubers and Bananas, CIALCA uses integrated systems research and unique collaboration platforms for better impact on poverty, food and nutrition security and eco-systems integrity. CIALCA is now moving to a next phase, where CIALCA aims to serve as a catalytic partner to mobilize partnerships, capacity development and scientific research for meeting local demand of various public and private partners in supporting farmers to transition from subsistence to entrepreneurial farming. You are given a chance to contribute and shape implementation research on how to effectively introduce, adapt and manage agricultural innovations to transform livelihoods. A 4-year PhD sandwich scholarship contract of which 18 to 24 months are spent in Belgium. CIALCA provides so-called ‘sandwich’ PhD scholarship. The ‘sandwich’ modality implies that PhD candidates receive a stipend when in Belgium (maximum between 18 and 24 months in a 4-year PhD trajectory), and that their Rwandese, Burundese or Congolese academic or research institute provides salary when the PhD candidate is conducting fieldwork in their respective country. The PhD scholarship covers all operational costs related to the implementation of the research. The PhD candidate is expected to spend 100% of his/ her time on the PhD assignment during the 4 years, which implies that are exempted from their ongoing duties and responsibilities in their institute. A conducive research environment in which you have access to state-of-the-art research equipment and research expertise.